Futurehealth Workshop by Beverly Rubik We will demonstrate the state-of-the-art in electroacupuncture diagnostic/biofeedback devices, the EMAS (Electro-Meridian Analysis System; www.hepoch.com). No knowledge of acupuncture is required. Its software offers great insight into Oriental interpretations of a person?s condition as well as East-West combination treatment plans. The electrical conductivity at various hand and foot acupuncture points is measured to reveal the energy flow in the 12 meridians. Computer analysis then shows which acupuncture points need needling or acupressure according to different systems of acupuncture. Autonomic nervous system regulation is also indicated. Moreover, treatment using aromatherapy, herbs, foods, and self-massages, are shown. Demonstrations will be made on volunteer participants. An introduction and simplified overview of Oriental medicine will be presented, as well as an overview of electrodermal testing, for starters. No knowledge of acupuncture is required in order to learn how to use this simple device or to take this workshop. We will demonstrate the state-of-the-art in electroacupuncture diagnostic and biofeedback devices, the EMAS (Electro Meridian Analysis System; see www.hepoch.com). The device and its associated software are user-friendly and offer incredible insight into Oriental interpretations of a person?s condition, even for people untrained in Oriental medicine. The EMAS measures electrical conductivity at 12 hand and foot acupuncture points corresponding to the 12 key meridians, and reveals the energy flow in the meridians. A software analysis then shows results according to the various systems of Oriental medicine. Autonomic nervous system regulation is also indicated. The analysis also reveals various treatment plans ranging from aromatherapy, herbs, foods, various exercises, acupressure, to acupuncture, as well as qigong and self-massage, which are described in detail. Possible Western diagnoses are also described for the energy profiles obtained. Demonstrations using the EMAS device will be made on volunteer participants, and we will measure everyone if time permits. Given sufficient time, we will also take measurements before and after an intervention such as a group qigong exercise, on at least one volunteer to show how the device can be used to monitor pre-post effects of clinical interventions. Dr. Beverly Rubik is a leading scientist internationally renowned for her research exploring frontier areas of science and medicine. She specializes in subtle energies in health and healing. In 1979, Dr. Rubik earned her doctorate in biophysics at the University of California at Berkeley. She has published over 60 papers in scientific and medical journals and 2 books. Dr. Rubik serves on the editorial board of several medical journals, including Journal of Alternative & Complementary Medicine, and Evidence-Based Integrative Medicine. She was one of 18 hand-picked advisors to the original Office of Alternative Medicine at the US National Institutes of Health (NIH), and she helped launch this new federal office through its startup years, from 1992 through 1997. She also chaired an NIH panel on energy medicine. The American Medical Students Association hired Dr. Rubik to develop the first medical school curriculum on energy medicine, which was also funded by NIH. In 1996, Dr. Rubik founded the Institute for Frontier Science, a nonprofit research laboratory in Oakland, California to explore subtle energies and energy medicine. In 2002, her Institute was awarded an NIH center research grant to study the human energy field together with scientists at University of Arizona. She and her colleagues have been conducting research on Oriental concepts of subtle energy and practices such as Reiki and qigong. They are building a scientific foundation for understanding the human bioenergy field in health, healing, and optimal performance. Dr. Rubik also has a clinical practice where she advices people on alternative and complementary health practices. 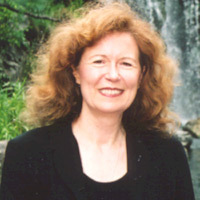 Beverly Rubik has appeared on numerous television programs throughout the US and worldwide, including a live appearance on Good Morning America (ABC-TV), where she presented her work on the human energy field in December 2000.